EGX, the big UK gaming event put on by Gamer Network, which also runs this website, has announced that submissions are open to all comers for this year’s Leftfield Collection indie showcase. 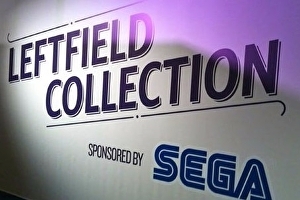 The Leftfield Collection is sponsored by Sega, and unlike the rest of the Rezzed indie zone, exhibiting there is free. But competition for spaces is pretty fierce. Full details of the entry process are available on the ; submissions close on 1st August. Leftield Collection alumni include the likes of Joe Danger, Don’t Starve and Proteus, as well as more experimental stuff like the one-dimensional game played on a strip of LED lights and a door-stopper spring, Line Wobbler.